Web analytics and advertising firm Chitika claims Google+ is unable to keep its users. 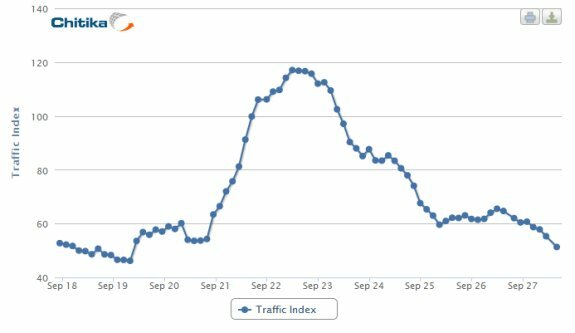 When Google's social network entered public beta phase on September 20th, the network saw a huge spike in users, but according to Chitika's obscure traffic index few users saw reason to stay. To continue our coverage on this matter, Chitika Insights took a look at Google+ before and after it went public to see if the social network was living up to the hype. Reportedly, Google+ saw a surge in traffic of over 1200% due to the additional publicity, but the increased user base was only temporary, as was projected in an earlier insights post. The data shows that, on the day of its public debut, Google+ traffic skyrocketed to peak levels. But, soon after, traffic fell by over 60% as it returned to its normal, underwhelming state. It would appear that although high levels of publicity were able to draw new traffic to Google+, few of them saw reason to stay.